well i didn't do mine how u should i'm a baller on a budget. I got some ebay coilovers and new struts. then a camber kit for the front. The new struts were the most expensive part. '94 Chevy c1500 --- Sleeper Mud Truck! koni yellows + ground control coilovers. but your gonna realize VERY quickly that it's gonna be damn near impossible to be SLAMMEDDD up in NH. i've been up to NH plenty of times and would never have even dreamed of driving my lude up there, which was dropped 2.25". any lower than that will literally be impossible. the koni/gc setup is like 890 on weaksauce.org. might as well save 200 more and get a true coilover set up. the koni/gc set up is nice, but you wont really be able to slam it. i run gc/illuminas, but im planning on getting a set of bc racing coilovers. look at EBPludeSH's build thread, hes running a set right now, and it sits perfectly!!!!! Uhh... yes you can. Buddy of mine has Tein springs and STOCK shocks and his IS300 has been slammed and hellaflush since the day he picked it up from the dealership new (he drove it straight to the garage). In my opinion, coilovers ideal if you want to fine tune it. If you don't get the dampening option, I don't see the point then. Skunk2 has coilovers that are simply adjustable and are cheap (because they don't come with shocks) but if you plan on driving your car at all in the winter, coilovers will seize up which is the reason why I've never really looked at coilovers (I live in Canada...). Last edited by andrewcjduong; 01-31-2011 at 02:14 AM. Your Prelude at its stock ride height is 5.7 "
If you lower it any more then an 1 1/2 " your lude will be a slamming lude alright.Slamming right into the pavement and other unforeseen road obstacles. I mean just look at my stock ride height 5th gen lude after 140k miles with a 4 1/2 " ground clearance. There's buddy club coils for the prelude!?! Whatttt!?! Anyways.... I have konis and GC on right now on my lure and I wasn't happy. They are nice don't get me wrong but I'm saving up for coils. I'm actually looking for the ideal ones. I believe they do but for the BB4 and it's about $1800 for the kit. hey check out Ksports Kcontrol Pros. ive driven a couple ludes with them and love them to death! theres a pretty cool guy "1FunRyd" on preludepower (or sean as hes known in person lol) and ya he sells em shipped for $880. or if your wanting to go custom you can opt for the Ksport Version RR's. fully custom valved and sprung to how you want/how you drive. let him know i sent ya to him if you hit him up. thx for the link rebel luder, i really like the ksport kit. i was looking at a blackworks racing kit but this is not only cheaper but is custom for each car. lowering springs wont slam you if youre looking for the slammed look. you can only get that with coilovers, coilover sleeves, or cut springs (dont do the third one). if you wanna be slammed on a budget id get tokico HPs and a set of coilover springs with some kind of name youve heard of before on them (my accord set up was tokico illumina struts and megan coilover sleeves. car was so low i could barely get out of the driveway.) 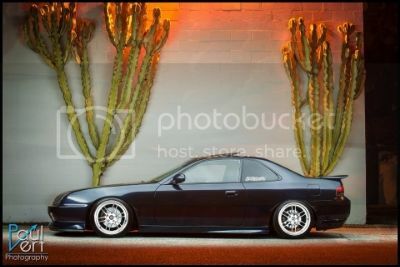 if you could scrounge up $630 or so get function form type 1 full coilovers (thats what im getting for my prelude).